Bang bang shrimp is a creamy and spicy shrimp dish. Generally, the shrimp are coated in flour or cornmeal and fried before being tossed in the bang bang sauce. Of course, the addition of the flour makes normal bang bang shrimp high in carbs. The bang bang sauce is a creamy, mayonnaise-based sauce that uses Thai sweet chili sauce to give a sweet heat. Bad news again is, the sweet chili sauce adds lots of unnecessary carbs. 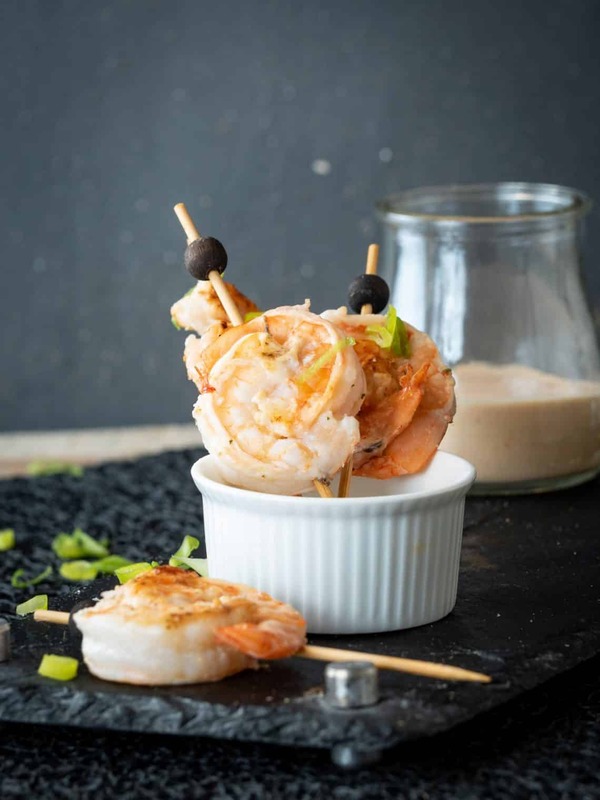 Fortunately, the shrimp don’t have to be breaded and the sauce doesn’t have to be full of sugar to be just as amazing! 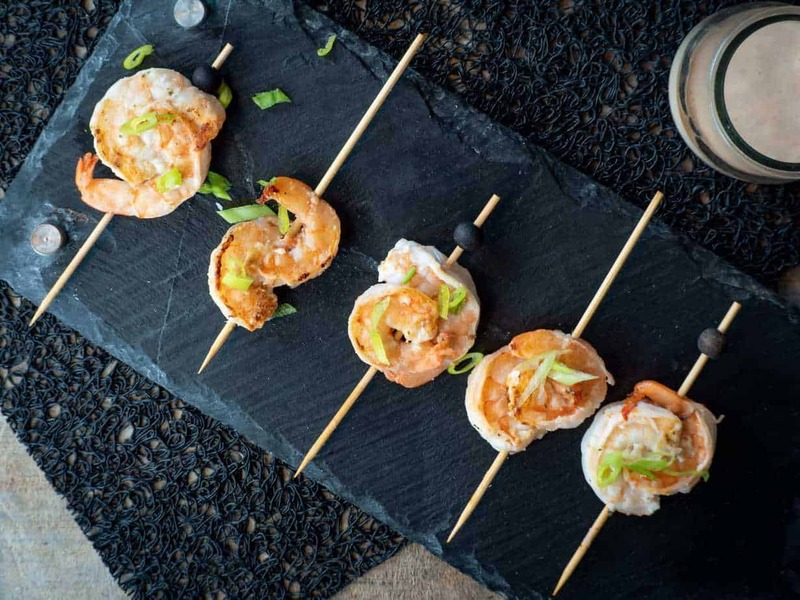 This recipe is everything bang bang shrimp should be; spicy, creamy, and utterly delicious. And, of course, the best part is they are totally low-carb and keto! WHERE DID BANG BANG SHRIMP ORIGINATE? The exact origin of bang bang shrimp is unknown. However, there are many variations of the dish served at restaurants around the world. Presumably the shrimp are named “bang bang” after their spicy nature, since they have a “bang” of spice. That’s my interpretation, anyway. Normally, the shrimp have a creamy sweet and slightly spicy sauce and are sometimes served over rice or shredded lettuce. In some restaurants, the shrimp are breaded. In others, not. Bonefish Grill is probably one of, if not the most mainstream restaurant to offer the shrimp as a menu item. Of course, their version is delicious but absolutely filled with carbohydrates and added sugar. Interestingly, there is a major difference in bang bang shrimp and chicken. Bang bang chicken is traditionally a dish of cold chicken drizzled in a spicy, nutty sauce. Quite literally, it is chicken with a spicy sesame sauce. In order to make this delicious bang bang shrimp, you’ll need to round up a few ingredients first. Also, don’t forget to refer to our Keto Bang Bang Sauce recipe (linked below) so you have everything you need for it as well. 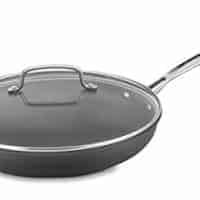 To being, heat a non-stick skillet over medium-high heat. Add the butter and let it melt; roll pan around in a circle to coat the bottom. Without doing this, you’re running the risk of having your shrimp stick to the bottom of the pan. Add the shrimp to the pan and add the pinch of salt; stir once. 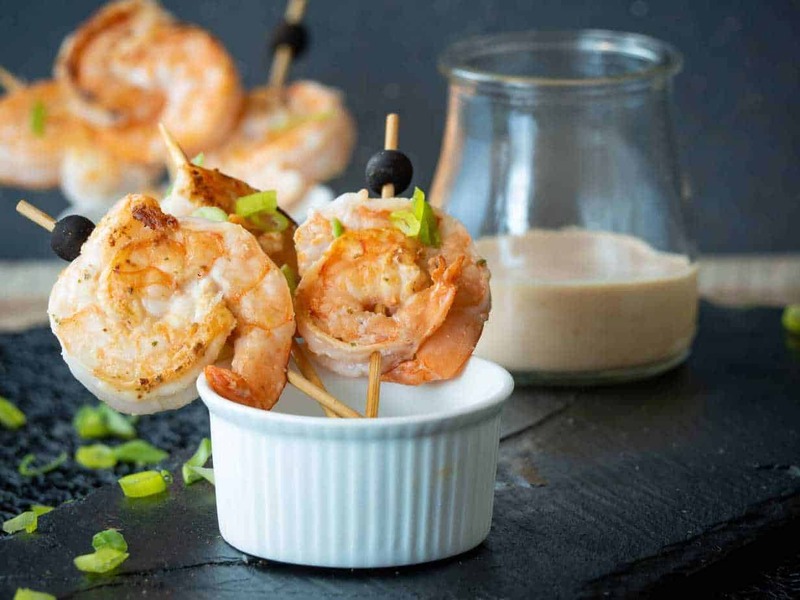 While the shrimp are cooking, mix up our Keto Bang Bang Sauce. Coat the shrimp with the sauce and serve over our Keto Cauliflower White Rice, if you’d like. 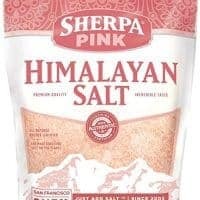 Otherwise pair with another great recipe (read on below) and enjoy! IS KETO BANG BANG SHRIMP GLUTEN-FREE? Thanks to the fact there are no flours (including almond or coconut) used in this recipe, we can very safely say these keto bang bang shrimp are totally gluten-free! IS BANG BANG SHRIMP DAIRY-FREE? Due to the fact this recipe uses very few ingredients and none are dairy, this recipe is fully and totally dairy-free! Storing these bang bang shrimp is super easy! All you’ll need to do is to place whatever leftovers you have into an air-tight storage container. Storing them in the refrigerator is, of course, a must. As always, we recommend using a Pyrex glass storage container. These containers are super handy because you can store and bake in them. Even more convenient, you can reheat in them as well (even in the stove) without worrying about them melting. The shrimp should be fine to reheat and eat for 3 – 4 days, but probably should be disposed of after that time. Anytime you are reheating anything with seafood, you must take great care in making sure not to heat it too fast or in the wrong way. Otherwise, you’ll end up with a tough end product. Let’s take a look at the different ways to reheat keto bang bang shrimp so your leftovers don’t go to waste. In truth, using the microwave should be a “last ditch” method of reheating the shrimp. Microwaves cook food at very high temperatures very quickly. While this fact makes them very convenient for day-to-day use, it also means they can quickly and easily ruin some foods. This is especially true for meats; even more-so for seafood. Microwave for 30 seconds at a time, stirring the mixture each time. As soon as it is heated through, remove from the microwave and chow down. Another easy way to reheat your shrimp is to place your leftovers into the oven. If you’ve used a Pyrex storage dish when storing and refrigerating your shrimp, it makes it even easier. To reheat the shrimp in this way, preheat your oven to 350˚F. If you didn’t use a glass storage dish, transfer the shrimp to an oven-safe container. Heat the mixture in five minute increments, stirring occasionally. Continue to heat the shrimp until the mixture is heated through. Be careful not to overheat, as you run the risk of the shrimp becoming tough and chewy. WHAT GOES WITH KETO BANG BANG SHRIMP? There are tons of recipes that pair well with these delicious shrimp. They can be used as a main course dish, side dish, or yummy appetizer. Regardless of how you choose to eat them, here are some of our favorite recipes to make alongside them. For more ideas, you can check out our recipe index, or check out all of our main course and side dish recipes.